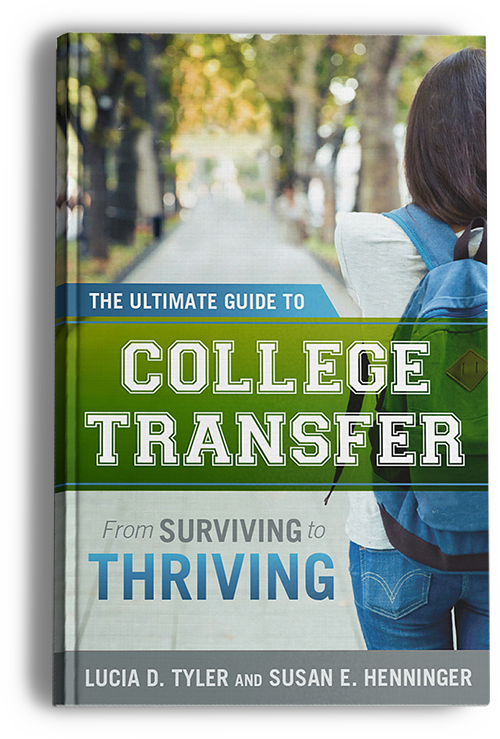 The Ultimate Guide to College Transfer: From Surviving to Thriving is a comprehensive guide, designed to make college transfer between four-year schools as successful as possible. The book contains vignettes (based on real student stories) and excerpts from interviews with transfer students, parents, and higher education professionals. The information and advice they share will be helpful, informative, and reassuring to families going through a college transfer and enlightening to high school and college personnel. College transfer, when done for the right reasons and in the right way, can be an extremely positive experience for students. My goal as a freelance writer is to use compelling words and powerful imagery to educate, inspire, and entertain my readers. Feature articles and news stories make up the bulk of my assignments, but I’m also a blogger, a business writer, a personal essayist, theatre critic, and the coauthor of an upcoming nonfiction book. My writing career began in the Finger Lakes Region of New York State. Phenomenal scenery, plenty of interesting people, and a multitude of newsworthy happenings have given me the opportunity to write about the things I’m most interested in, including education, agriculture, politics, and parenting. These days I write for a number of publications, both in the US and Canada. I hope you’ll take a minute to browse through my site and learn more about what my freelance writing has to offer you, personally and professionally. If you think you have a story to share, please feel free to write, call, email, InMail, or contact me on Twitter. I offer a broad range of professional writing services, from news stories and feature articles for newspapers and magazines, to business materials like press releases, newsletters, and blog posts. I also enjoy writing book and theatre reviews. As a freelance writer, I take pride in my interviewing skills, in consistently meeting my deadlines, and in my ability to share anyone’s story in a clear and compelling way.